In modern times, New York City has always been the center of the universe. Industry, innovation and influence vibrate outwards from the Empire state, inspiring and shaping cities around the world. At its very core, the engines behind NYC’s global sway are the millions of New Yorkers, plying their trade every day, across the Big Apple. One of those engines is Chris Anna, founder, owner and designer of Terraform. 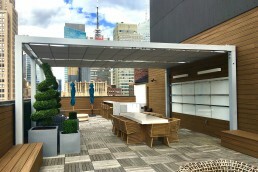 Based in New York, New York, Terraform reimagines the New York skyline one rooftop at a time. Terraform’s structures and designs borrow utility and function from traditional forms, but Anna is keen to apply his own modern aesthetic to create unique environments of wood, metal, stone and water. 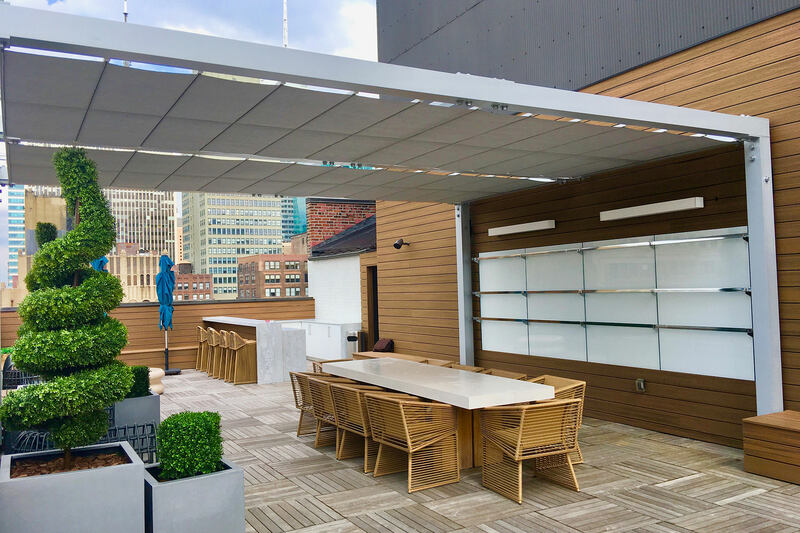 The final product reinvigorates spaces that are otherwise lost in the dense urban jungle of steel and glass that has come to define Manhattan. 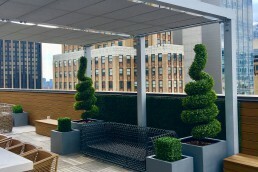 ShadeFX, though no stranger to the streets of New York or rooftop designs, jumped at the opportunity to work with Terraform. Inspired by their diverse and talented approach to function and style, we considered it a challenge to live up to. From concept, design and implementation, we worked with, and were inspired by the team at Terraform. 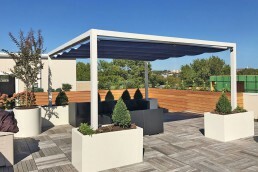 The end product was true to their style, and a testament to the innovation and detail that has come to define Terraform as a leading design company. 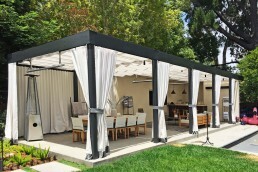 The pergola serves as the focal point in a space of coalescing marble, steel, wood and glass. By adding two motorized retractable shades at 20ft x 8ft (covering 320 sq.ft. 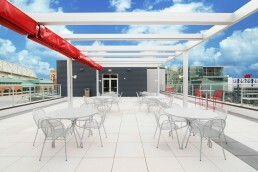 ), we were able to add style, versatility and function to an already impressive design. Working in New York City, alongside the team at Terraform, was an inspiring experience. We look forward to working with Terraform in the future, doing our little part to help reimagine the iconic New York skyline, roof by roof.